The ambulance company is striving to help Grand Rapidians with their ambulance bills through payment plans, volunteer opportunities to work off debt and an ambulance membership program. 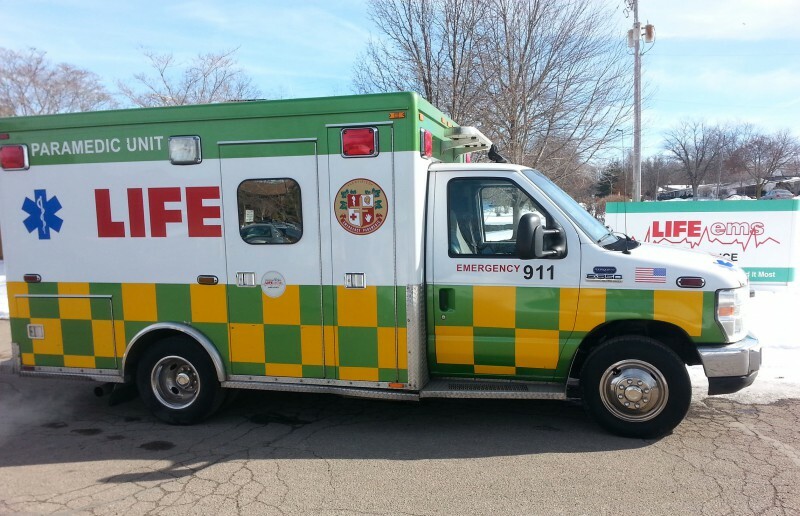 Life EMS Ambulance knows that sometimes the struggle of paying off ambulance bills can be just as difficult as recuperating from an illness or injury. The locally owned and operated company has opened up several options to help those in need pay their medical bills, especially if they don't have insurance. Perhaps the most unique of these services is the company's volunteer program, which allows clients to exchange these fees for volunteer hours with a local nonprofit organization of their choice. "People are surprised when we offer it to them because it's unique," says Katie Arens, supervisor of the volunteer program and customer accounts. "Basically, you never see a bill." To qualify for this program, clients must be paying for their medical bills without the help of insurance. They must also be in contact with Life EMS Ambulance before the account goes to collections and explain that they will have trouble paying the bill. Once a client is approved, their total balance is divided by 20, which means the company values their work at $20 an hour. This usually amounts to about 30-35 volunteer hours total to pay off an ambulance ride. Once a client is approved for the volunteer program, the client themselves are able to pick a nonprofit organization in their local community that they are passionate about. The only stipulation is that the organization must be a nonprofit. They arrange their own schedule, and have six months to complete their hours. Because many people who have recently needed an ambulance ride may still be sick or injured, the company also allows friends and family members to help complete the hours. All of the hours that these people complete will go towards the client's final total. Even though only about 5% of accounts are eligible for the volunteer program, over the past three years Life EMS Ambulance clients have completed over 2,500 volunteer hours and paid off over $50,000 worth of medical bills. "That's not anything that turns around and comes back to us directly, but indirectly it does because we're giving back to the community that we also serve in," Arens says. Those who participate in the program often continue their volunteer work after they have completed the program. "They find that it's fulfilling, and that they like giving back- and that's a win/win for us, because they're giving back to the community in some way and we've been able to give back to our patients," Arens says. "We love it." The ambulance company also has a more proactive approach to avoiding high ambulance bills. The Life Care Plus Membership Program allows residents of their coverage area to receive unlimited medically necessary ambulance rides for a flat rate fee for a full year. The plan costs $39 a year for those with health insurance and $59 for those without, while an uninsured ambulance ride can cost between $600-$700. In Grand Rapids alone, over 1,000 people have memberships. Life EMS Ambulance has other ways to give back to the community, including payment plans, discounted lift and mobility services and a program to teach young children how to respond to emergency situations called Camp 911. The Life EMS Ambulance volunteer program hopes to create more engaged citizens and foster a love for volunteering in the Grand Rapids community and beyond.